Can I Review the Training Content in a Different Language? We offer many assignments that have been translated into multiple languages. In addition to multi-language training content, policies required by your organization can be offered in multiple languages. 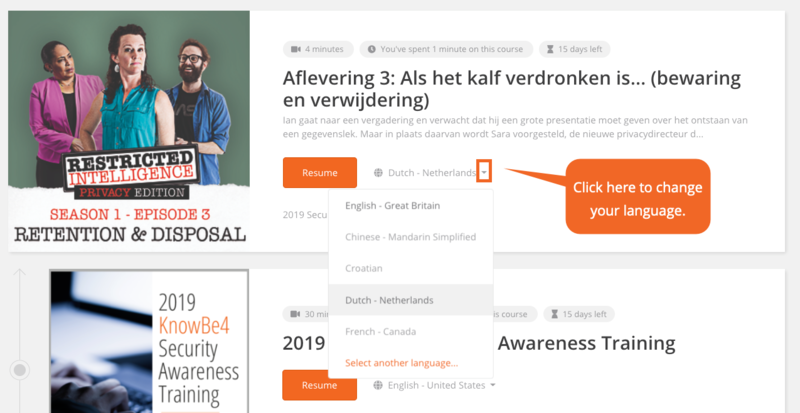 If you've been assigned training content that is available in multiple languages, you will see a flag icon next to the Start button on your training page. Click the flag drop-down to see additional available languages. Once you select the language you'd like, the assignment or policy will pop-up in a new window. Need additional assistance? Contact our Support Team here. How Do I Edit the Default Language of My Translatable Landing Pages?